Wood Ducks need houses too! Our conservation steward team (a.k.a. 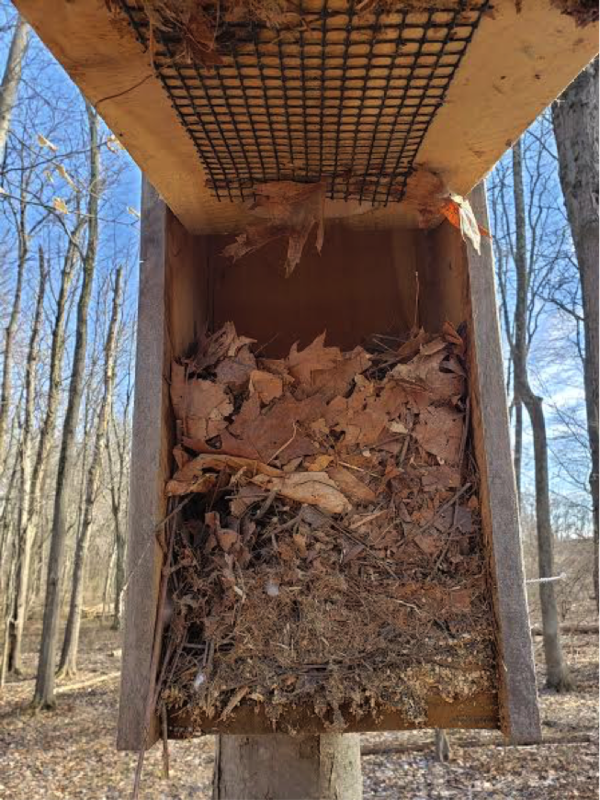 our “Stew Crew”) Nina and Jim have been working to make our Lindsay Farm Preserve a more “homey” space for these beautiful birds by creating and installing nest boxes on the property. In the past, most of the nest boxes were placed on trees. A census of these boxes, however, revealed that this tactic had little success. The boxes didn’t seem to be getting used by local ducks; rather, the only ones benefiting from these small houses were some opportunistic squirrels! 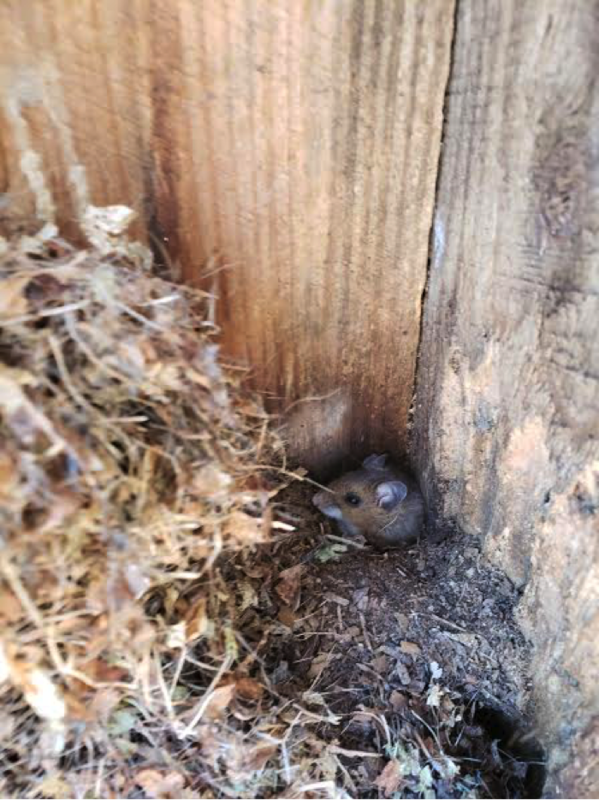 Along with the possibility that the boxes could be invaded by raccoons–which would be disastrous for any ducks that might try to move in–it was clear that a different course of action was needed. This year, the Stew Crew is installing the nest boxes on poles that are equipped with predator guards. This process is more time consuming and a bit more expensive, but it will ultimately be safer for the ducks (and for those who have to maintain the little houses! No more standing on ladders to reach boxes posted on tall trees!). Why is this work important, you might ask? Aren’t there natural places for these ducks to nest? Wood Ducks like to take shelter in tree holes, which are typically the result of dead limbs falling off of old trees. Since most of the forests in our area are relatively young, the trees heal themselves faster when branches break off. Because of this, it is more difficult for Wood Ducks to find natural cozy tree crevices to nest in. It is our hope that the Heritage Conservancy-made nesting boxes will play a part in helping to boost Wood Duck numbers locally!